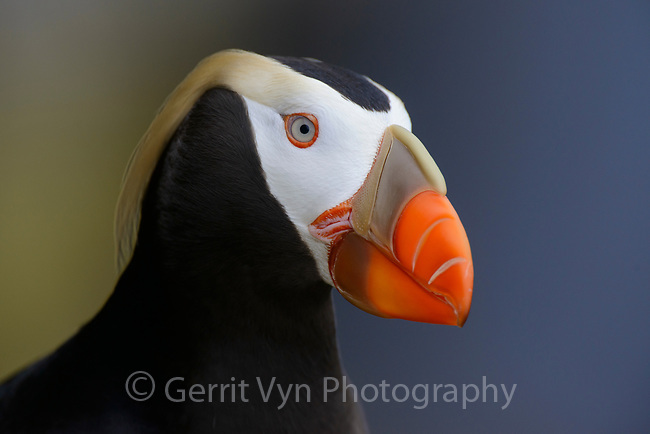 Tufted Puffin (Fratercula cirrhata). St. Paul Island, Alaska. August.